Most Conservative Americans are voting 'Yes' on California initiave #8, which would outlaw gay marriange. But, these days there are scores of children who are dying or getting into trouble almost daily...not from gays...but from the non-gay families that are raising them. Yet we don't hear a peep from Conservatives or Christians. China Arnold: Who took her 3 month old baby, placed her in Microwave, set it on 'high' while the baby screamed, and then continued her alcoholic binge. The baby died in a few minutes, just about the time the screaming stopped. (The US averages a whopping 8 baby murders per year, via microwave.) AND NOT A PEEP FROM THE FUNDIES! Joshua Mauldin: Took his 2 month old baby, punched her, shook her, put her in a freezer, and finally microwaved her. The baby suffered second-and third-degree burns to her left ear, cheek, hand and shoulder. Her left ear had to be amputated. Joshua says he's a Christian and the Devil made him do it, because he's such a great Christian. AND NOT A PEEP FROM THE FUNDIES! The parents of 7 year old Sobbing Mauerova. Police discovered that he had been partially skinned. His mother caged him for months while relatives feasted on his raw flesh. Sobbing and his helpless 9 year old brother Jakub, were kept in cages or handcuffed to tables as they were ritually TORTURED, BURNED and WHIPPED with belts. AND NOT A PEEP FROM THE FUNDIES! The parents of 16 unnamed kids in 3 weeks that were permanently abandoned by their parents to take advantage of the new Nebraska law that makes it legal. The youngest one is 1 year old! AND NOT A PEEP FROM THE FUNDIES! The parents of an unnamed 12 year old boy who had an argument with his Grandma. He solved the argument by grabbing a gun and killing her. Nice to know his drugged out parents made gun access so easy, even a child can do it! AND NOT A PEEP FROM THE FUNDIES! Amber Jimenez & Shawn Sepulveda of Los Angeles, who each took their newborn kids and threw them in a dumpster. Dumpster kids are an epidemic nationwide, with most kids dying right there in the dumpster. In this case, however, Shawn's 11 y/o kid rescued the crying baby before it died. AND NOT A PEEP FROM THE FUNDIES! An unnamed 22 y/o woman who dumped her baby in (of all places) a Baltimore church dumpster. The baby died. REPEAT AFTER ME: AND NOT A PEEP FROM THE FUNDIES! The parents of the estimated 5,000 children in my community, the parents of the estimated 8,000 children in Oakland, and the parents of the estimated 10,000 children in Los Angeles. Half of these "parents" are drug-addicted and higher-ups in street gangs. And they wanted to make sure their kids joined too. Other parents just looked the other way while their children...some as young as 8...have joined street gangs and are dealing drugs, along with learning the joys of mayhem and murder. Kids! 8 y/o gangsters! REPEAT AFTER ME: AND NOT A PEEP FROM THE FUNDIES! Keep in mind this is just a sample of current happenings across the country. 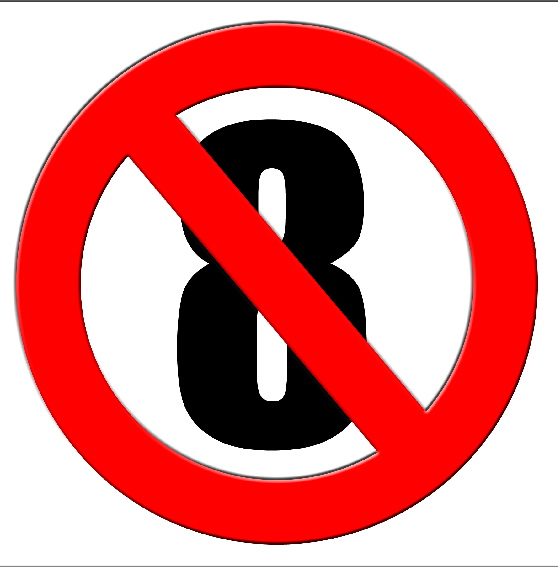 Vote 'NO' on 8! Tell the church that if they really care about families, if they really care about children like they pretend to be, then they need to concentrate on the real problem: Families who hate their kids and/or don't know how to raise them, instead of paying out millions of dollars to TV stations on a stupid political campaign! If you'd like to adopt a good kid who has been abandoned by his family, we are pleased to suggest Family Builders. There's thousands of them, and you just might change an abandoned kid's entire life. Graphic by Bob Banner & Big Gary. Feel free to use.